This lovely couple are trending online recently due to very obvious reasons. Her make up fail is epic. 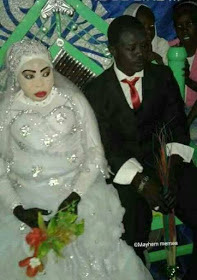 0 Response to "This Make-Up Fail Of A Bride On Her Wedding Day Is Epic! See For Yourself"